communications over moneyissues | Couples-Counseling Connection — Marriage & Family (McLean, Virginia). 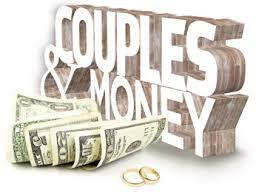 Couples & Money — Rules for Discussing to Avoid Fights. What is your greatest financial fear? What were your family’s values about money? Was your family rich or poor? To me the greatest rule concerning discussion about money is to have such a discussion(s) and to listen respectfully. “Biggest Fights Couples Have About Money & How to Resolve Them.” Wall Street Journal (April 13, 2015).